On November 22nd, 2018 ir. ing. 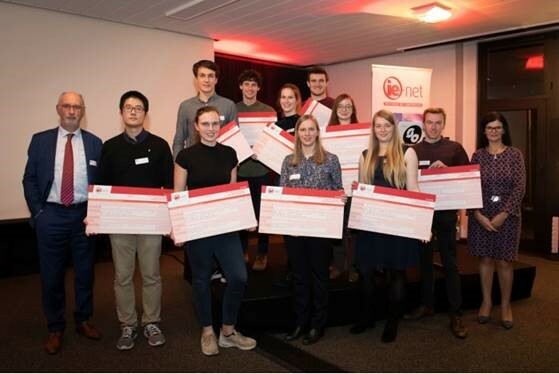 Magali Dams won the IE-Net Award for civil engineers for her Masterthesis on “Advanced Quality Control Tool for Proteomics”. IE-Net (www.ie-net.be) is the Belgian networking organization for engineers that recognizes on an annual basis the best thesis research project considering research innovation, social relevance, and commercial viability. The Master thesis research was conducted at the Department of Chemical Engineering (promotor prof. Sebastiaan Eeltink) at the VUB in close collaboration with Dr. Achim Treumann of Newcastle University (UK).